YouTube, Google’s popular video sharing website, has launched the latest versions of its Android and iOS apps this Tuesday bringing many new features that will improve mobile video viewing experience. Watch a video and look for another. So what are the new features and how are you going to experience these new changes? Well open a video, and with a simple swipe of a finger, drag it down to the bottom of the screen to explore other videos and browse through the app. Youtube’s makeover comes with searching and browsing capabilities for playlists on mobile devices for the first time, which enables the user of playing back to back videos. Preview what’s going on your connected devices. Sending videos from your mobile device to your connected TV, like on Chromecast, Google TV, PlayStation 3 and other TVs using the cast button is already featured in the earlier version of the app. But now YouTube let’s you preview and queue what you’re going to watch next. Packed with new features, the simpler and cleaner version of the YouTube apps is here and it’s available for Android and iOS. 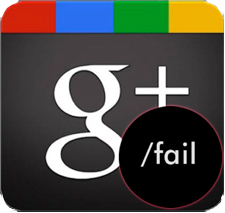 Is it just us or is Google+ still not learning from Facebook and Twitter mistakes and shortcomings? We are completely aware that the newly launched social network is not yet close to competing with Facebook’s empire and Twitter’s rush , but can you blame our disappointment from Google+ newly launched brand pages? 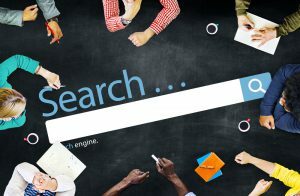 Google+ is indeed satisfying the masses, and with its newly created brand pages for companies, copycatting Facebook’s pages, companies are rushing to advertize their products on Google+. First of all, the only features are the rich profiles or about page; you can build circles and list your followers accordingly. However, unlike personal pages, you can only add people to the brand circles if they have added you previously to their circle; hard luck for brands and +1 for the consumers who will have a choice if they want to follow the brand or not. Brand pages can also benefit from the Hangouts, for group video chats also – but we can hardly imagine here CEO running to catch a glimpse of their targeted consumers, or else it’s their social ambassador stuck behind the webcam chatting with the followers. Come to think of it, unless it’s Kim Kardashian or Ryan Gosling behind these webcams, who cares? Once you connect an email address with a page you can’t change it and you’re the only one that can edit and admin that page. Although Google has promised that there will be multiple admins in the near future, we wonder when, for now this will be a little awkward for companies that want multiple social ambassadors to communicate through the pages. What’s really ironic also is that anyone can claim to be a brand at Google+, in other words, if brands do not claim their G+ pages, other wannabes can. Seriously Google+ is that all you’ve got?